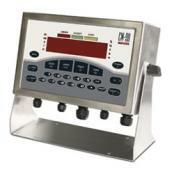 Central Carolina Scale is a trusted source for the most advanced weight indicators and process control devices. From basic weighing functions to complete system automation, in the office or out in the elements, we have a tool for every possible need. 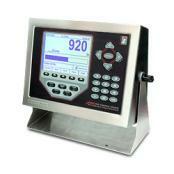 The Rice Lake family of digital weight indicators showcases equipment capable of the most basic to the most complex of tasks. From simple weight displays to equipment that controls an entire automated process, Rice Lake Weighing Systems offers unbeatable technology for today's industrial needs. Popular Rice Lake indicators include the 480 Legend, 420 and the 920i. Meanwhile, from entry-level models to high-connectivity options, our Avery Weigh-Tronix range of indicators have been designed to support a wide range of industry-standard interfaces including Ethernet and Wireless. This enables easy integration into existing networks, saves valuable time and expense on costly system upgrades and can support future process changes as they arise. At Central Carolina Scale we used to promote the GSE line of indicators like the legendary model 550 for decades. 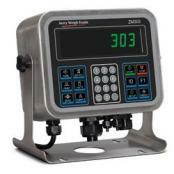 The new Avery Weigh-Tronix ZM series offers eight different high-performance, multi-function indicators. Highly adaptable and available with a choice of display technologies and enclosures to suit a variety of applications, the ZM301 and ZM303 offer multi-connectivity, ensuring compatibility and communication between old and new peripheral technologies. Digital Weight Indicators - ProgrammableThe Rice Lake 920i USB model offers the same features and benefits of the standard 920i, with the addition of integrated USB for more seamless communication with external devices. Deliver more features, more programmability, and more power for your process. Choose from universal, panel mount, or wall-mount style. Digital Weight Indicator - Stainless SteelDigital indicator with Stainless Steel enclosure are a good choice for most applications. The Rice Lake Legend Series blends quality and design with new ideas for tomorrow. With its stainless steel enclosure and advanced gasket system, the industrial-strength 480 is built for dirty, wet environments and demanding workplaces, inside or out. Digital Weight Indicator - Check WeighEase of use, stainless steel construction, and under / accept / over status is what makes a check weighing scale indicator. Enjoy the convenience of simple 4 button operation or a full numeric keypad. Digital Weight Indicators - BasicBasic digital weight indicators are usually pretty easy to configure and can typically be used on items like bench scales or standard floor scales. For those of you on a tight budget or are simply just looking for basic weighing functionality, we offer the industry standard for low cost digital readouts, the Transcell TI-500E. We also have other lower cost entry level versions from scale manufacturers like Doran Scales, CAS Scale, Weighsouth Industrial, Cardinal Scale Manufacturing, Ohaus, B-Tek, Adam Equipment and more. 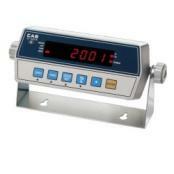 We also have intrinsically safe weighing indicators available as well. Give the sales team at Central Carolina Scale a call at 919-776-7737 and we can provide you with an honest assessment of what digital weight readout we think would work best for your situation, not only now but down the road when perhaps you are looking to add a remote display or printer. We have over thirty years of selling, servicing, and repairing these instruments. We know the brands and we provide our customers with the right product for their needs.